We have the right to indulge into something unhealthy once in a while. yes, yes, corndogs are 2 no-nos of a healthy eater in one. It's fried and it involves hotdogs. But who can't resist this? A really good corndog is among my list of treats that kids of all ages must enjoy (along with a glass of awesome awesome extremely rich chocolate milkshake =p). 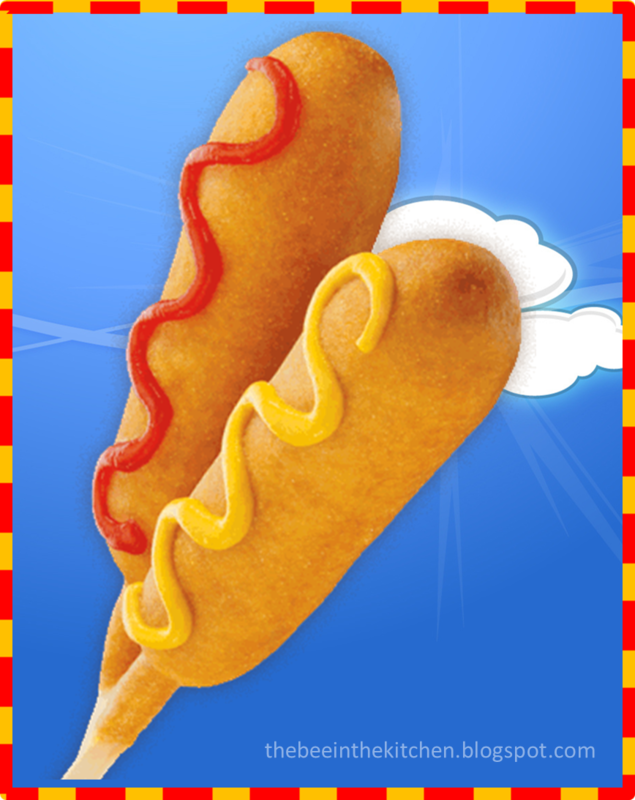 I find it difficult to find authentic corndogs here in manila, though they're extremely easy to make. Enjoy this recipe. 1. Skewer hotdogs on chopsticks or thick BBQ stick. It would be safer to use chopsticks for children to avoid sharp points :) Set aside. 2. Mix together pancake mix, cornstarch, cornmeal, eggs and water, just until smooth and free of lumps. 3. Dip each hotdog in the batter and dip in very hot oil. Make sure oil is hot enough or batter will separate when fried.